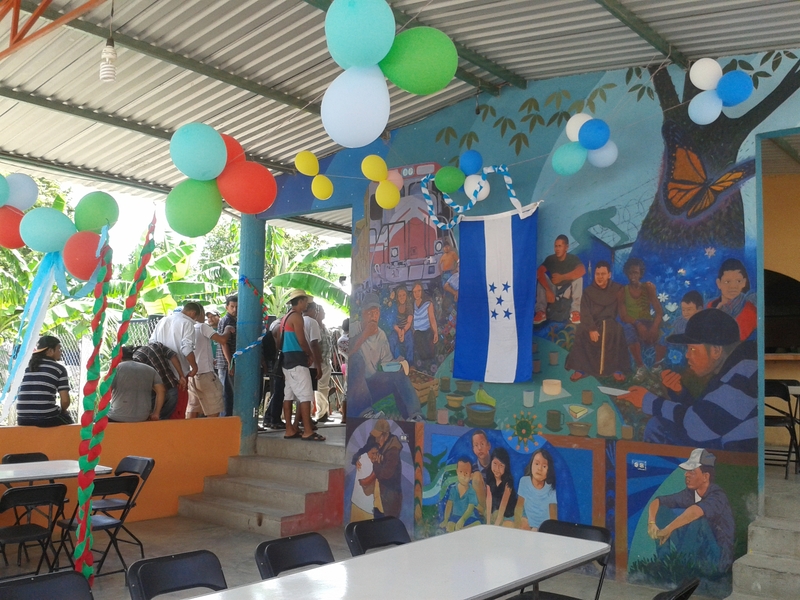 A Honduran flag hangs on the wall as part of the decorations arranged by the migrants. On the night of September 15th Mexicans celebrate “El Grito de Dolores,” the sometimes-rebel priest Miguel Hidalgo’s cry for freedom that, according to tradition, fueled the flames of an independence movement in 1810. Central American countries share a similar independence holiday, so it makes sense to honor the day with a party at the Hogar Refugio para Personas Migrantes “La 72,” temporary home to undocumented Central Americans who enter Mexico in search of a brighter future (or, as is increasingly the case, on the run from death threats and widespread violence). On September 11th, a few days before Mexico and Central America’s independence holiday, Fray Tomás González gathered everyone in the house together under the corrugated metal roof of the dining area, as he tends to do when there is something important to discuss. 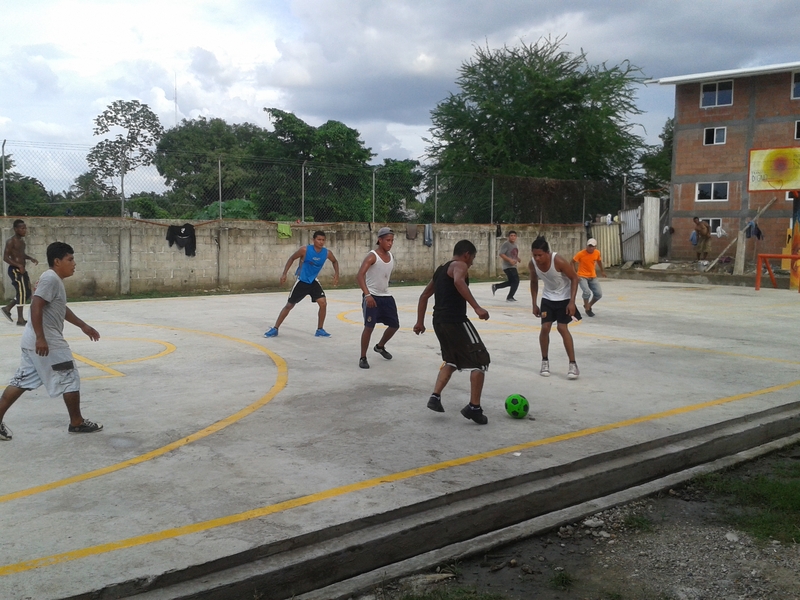 The day’s activities included a soccer tournament with 8 teams. 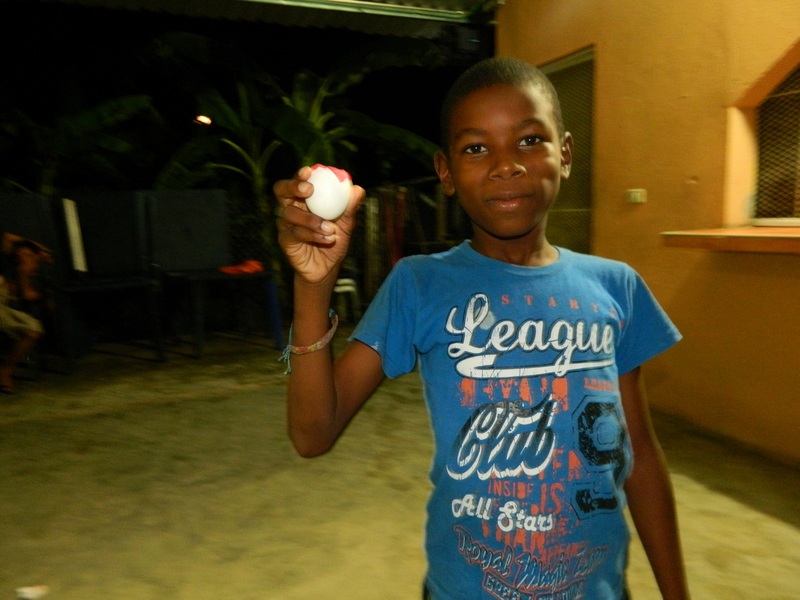 He began with a commemoration. Not of the event that most people think of on 9/11. Rather, he commemorated the assassination of Chilean president Salvador Allende in 1973. Allende was killed in a coup that formed part of Operation Condor, a US government project to convert left-leaning South American governments into military dictatorships, lest they turn into Communist allies. The question is, what independence? Latin America freed itself of its Spanish rulers, at least nominally. But if in 1973 the US government could violently replace a democratically elected leader, is Chile really independent? If in the 1980s the Reagan administration could use illegal drug money to arm anti-revolutionary paramilitary groups in Nicaragua, is Nicaragua really independent? 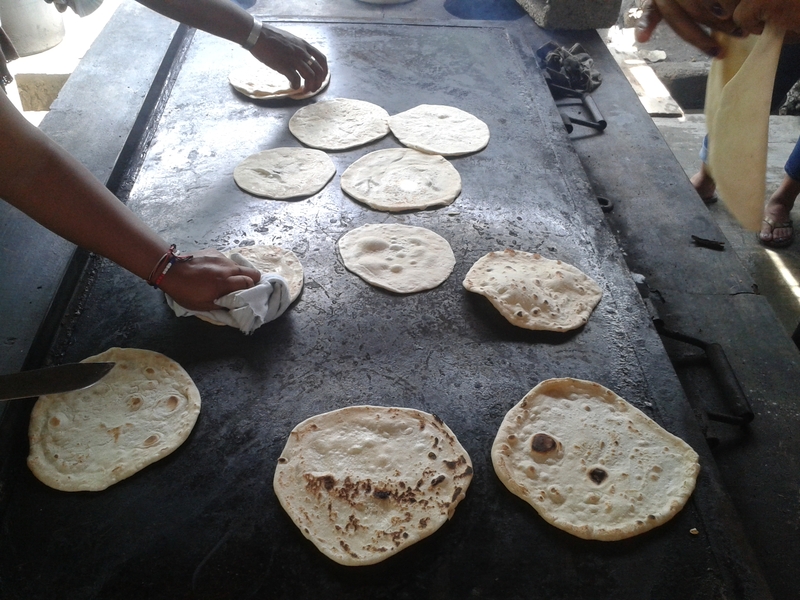 Hondurans prepared baleadas for dinner – a flour tortilla folded over and filled with beans, cream, cheese and scrambled eggs. If US migratory politics can pressure the Mexican governement into militarizing its southern border to prevent their Central American neighbors – many of whom qualify for refugee status under international law – from reaching the US border, is Mexico really independent? “La 72” is a place where migrant persons don’t just get a roof over their head and a plate of beans and rice (although they do get that). It is a house that invites and encourages its visitors to live with dignity. That means thinking critically about why so many people must leave their Central American homelands and not just thinking about the American dream. And, of course, it also means having a little fun every once in a while. Thank you for your efforts on behalf of the migrants seeking a safe place to live and for your insightful reporting.